Who wheeled the initiative process out of the political junk heap and into the toolbox of contemporary democracy? Ed Koupal would publicly dissect the most comfortable and pompous of politicians, and crunch their careers. He grew from choirboy to the nation’s foremost initiative crusader. He taught Howard Jarvis techniques on how to make Prop 13 win. People’s Lobby, Common Cause, Jerry Brown garnered 70%. 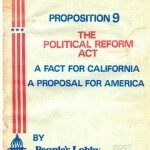 His organization directed the passage of California’s Political Reform Initiative, establishing political campaign reform and the Fair Political Practices Commission. He taught Ralph Nader and Jerry Brown how to use the initiative and play political hardball. He built 40-50 people and kids into People’s Lobby which Nader referred to as the “best grassroots organization in the nation.” People’s Lobby directed Western Bloc to stop the licensing of new nuclear power plants, while having the first and only Senate Hearings on implementing a National Initiative Process, Senate Joint Resolution 67 of 1977. This condensed book, Ordinary People Doing the Extraordinary : The Story of Ed and Joyce Koupal and the Initiative Process, tells more about a great and unique husband and wife team. The book was released for the 2002 campaign launch of the proposed National Initiative for Democracy. 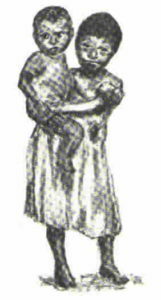 Political novices Ed and Joyce Koupal incorporated People’s Lobby Inc. as a 501 (c) (4) and then used its unique grassroots initiative process to help reform the political system. On its second attempt a loose knit band of volunteers led by Ed and Joyce qualified the Clean Environment Initiative of 1972, and then led Gubernatorial Candidate Jerry Brown and Common Cause to enacting the Political Reform Act of 1974. In the process, People’s Lobby became a training center for those interested in using the initiative for political reform. Ralph Nader sought out People’s Lobby to lead the Western Bloc, a coalition of 18 states who launched initiatives from 1975 onwards to slow the development of nuclear power plants. The nuclear industry spent millions to thwart the Western Bloc Safe Power initiative campaigns, but as the campaign educated America the growth of nuclear reactors was stunted. On the other end of the political spectrum, some claim that Howard Jarvis, California’s tireless property tax reformer, learned from People’s Lobby how to finally pass the 1978 Jarvis Gann Proposition 13 Property Tax Reduction Initiative. 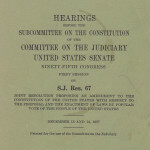 In 1977 former People’s Lobby members, John Forester and Roger Telschow convened Senate Judiciary Hearings on establishing a National Initiative Process. Alaska’s US Senator Mike Gravel (1969-1981) was a member of those hearings. His continued desire to see the National Initiative Process become part of America’s political rights ushered in a merging of People’s Lobby’s rich campaign history and present day educational goals with those of the Philadelphia II and Direct Democracy, non-profits he had founded. In 2002 Senator Gravel joined the People’s Lobby Board as its President and Ed and Joyce Koupal’s goal of a National Initiative returned as a primary mission of the organization. In 1995 former Senator Mike Gravel placed an initiative on the Washington state ballot asking their Washington state citizens if they would vote to support a national initiative process. With Washington’s Attorney General denying their citizens the right to vote on this issues, Gravel filed a certiorari petition to the U.S. Supreme Court. For more information on Senator Gravel, Philadelphia II and his move to further the revival of the national initiative movement started by People’s Lobby, click to www.ni4d.org. Through the 90’s the PLI Board began slowly easing back into the political scene by undertaking educational projects such as producing videos, writing columns, reporting on initiative movements, and attending conferences. In 2002 PLI funded the three day Ed and Joyce Koupal Memorial Conference in Williamsburg, Virginia where the National Initiative for Democracy Act was vetted by 10 established scholars. For that conference an edited version of Dwayne Hunn’s book on the Koupals and People’s Lobby was produced, Ordinary People Doing the Extraordinary. Following the conference, People’s Lobby endorsed funding the national initiative campaign with a series of additional loans. Those loans funded the Direct Democracy and Philadelphia II organizations, directed by former Senator Gravel, for use on the NI4D campaign. 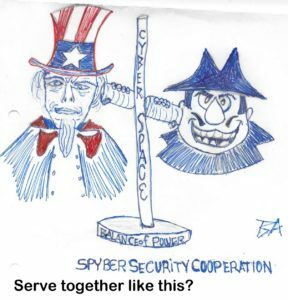 PLI’s ($450,000 + interest) funded such undertakings as: an NI4 D dinner in Philadelphia, three month Maine NI4D campaign, NI4D’s on-line voting and donations programs, staffing, administrative, and legal costs into 2003. In 2003 former Senator Gravel resigned from the PLI’s Board, as did his appointed Treasurer and his other board member friend who served during Gravel’s tenure as President of PLI’s Board. During the 2002 Maine National Initiative for Democracy Campaign and afterwards some former PLI workers expressed disagreement on Gravel’s NI4D campaign strategy and management. As of 2009 former Senator Gravel and his organizations have made no effort, despite repeated requests from PLI, to pay on their Promissory Notes. This husband-wife team “just ordinary people,” in their words, started out powerless and in over a decade, largely in the seventies, built Initiative power to qualify reforms on the California ballot for the popular vote. A story for the ages that strips away excuses steeped in a sense of powerlessness. This small but invigorating paperback can be obtained from The People’s Lobby ( www.peopleslobby.us ) for $13.00, shipping included in that price. Check to People’s Lobby, c/o Marlene Hunn 1817 California St., Unit 201, San Francisco , CA 94109, 415-673-0369. You may call 415-673-0369 to order the book. Print and mail this form or insert your own order form and where the book(s) should be sent with $13. per book. Tell fun stories about working with Ed and Joyce Koupal and how their People’s Lobby (PLI) revived the grassroots initiative process, including how they pulled Nader through PLI’s doors. Discuss reforms being called for on the initiative process. Explain how People’s Lobby’s (PLI) launched the drive to establish a national initiative process and held three days of Senate Judiciary Committee Hearings on Senate Joint Resolution 67 to do so. 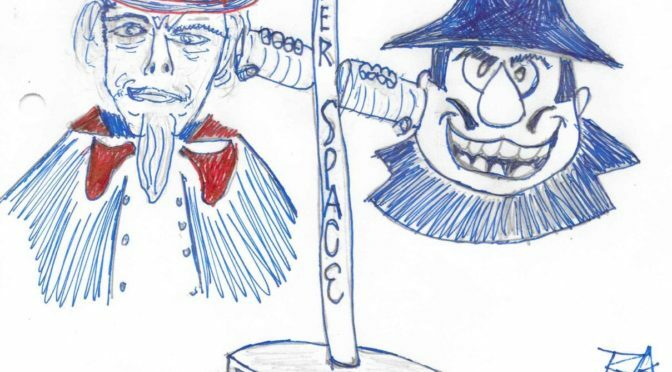 Dissect the failed National Initiative for Democracy Campaign of 2002. Reveal how 2008 presidential candidate and former U. S. Senator Mike Gravel milked PLI of over $450,000 dollars (not including the promissory note interest signed off on and written by Gravel). Answer your questions about PLI’s present day activities. Maybe opine on why Nader admired the Koupals so much. People’s Lobby was the grassroots initiative factory that used NON-PAID volunteers to qualify two Clean Environment Initiatives. Prepared California and its Assembly to usher in an era of environmentalism by failing to pass two Clean Environment Initiatives into law. Established California’s Fair Political Practices Commission by passing California’s Political Reform Act with 70% of the vote. Beat BIG CORPORATE AND PR money in doing so. Directed the 18 state Western Bloc Nuclear Moratorium Campaign, which in many ways demonstrated a national initiative process and educated the nation on the dangers of nuclear power. Held three days of Senate Judiciary Committee Hearings on implementing a National Initiative Process (leading to Senate Joint Res. 67 of 1977). Funded and field-directed the Maine 2002 National Initiative for Democracy Campaign kickoff. Sponsors today’s American World Service Corps (AWSC) Congressional Proposals and Fair Tax Bracket Reinstitution Act Proposal (FTBRA). Used to lecture (and tick-off) not only Nader but also Jerry Brown and other political luminaries (Reagan, Roberti, Lowenstein…) and institutional powers such as PG&E, Southern California Edison, nuclear, oil, auto…who instituted special training programs on how to handle Edwin Koupal. 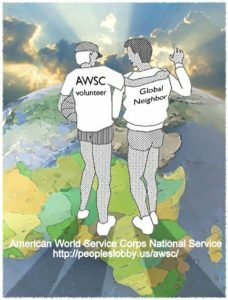 American World Service Corps (AWSC) Congressional Proposals and Fair Tax Bracket Reinstitution Act Proposal (FTBRA) to revitalize America’s character, economy, and standing in the world.